Assuming native is required, the following results were found. in the field, everyday, to stop the slaughter of the wild Yellowstone buffalo. Volunteers defend the buffalo on their native habitat and advocate for their protection. bison herd, America's only continuously wild herd, now numbers fewer than 4,000. Wild bison are a migratory species native to North America and once spanned the continent, numbering an estimated 30 to 50 million. in the field, every day, to stop the slaughter of the wild Yellowstone buffalo. 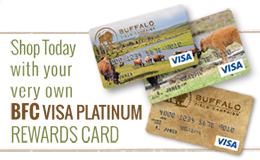 Volunteers defend the buffalo and their native habitat and advocate for their lasting protection. bison populations that inhabit the Yellowstone region, protect the natural habitat of wild free-roaming bison and other native wildlife, and towork with people of all Nations to honor the sacredness of wild bison. to stop the slaughter of Yellowstone's wild buffalo, protect the natural habitat of wild free-roaming buffalo and other native wildlife, and to work with people of all Nations to honor the sacredness of the wild buffalo.